Comment: the cold water faucet to the washing machine "broke". (water spewing out of the faucet) .... We had water every where in the laundry room and some of the great room. Service master vacuumed the return air vent and got about a gallon of water from the pad and the bottom of the return air. There was water in the vent in the laundry room. They took down and drained the pipe and got water out of it. They also removed the soggy cover and insulation? We think that a HVAC person should check it out. They turned it on and cooled fine but we think that it could use an expert's opinion. Comment: We have a central gas furnace and a split AC unit. 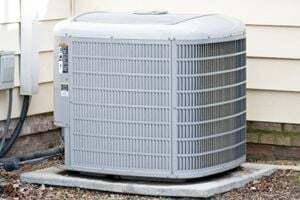 The system is 20 years old and the AC unit is not performing very well. We would like estimates to replace the furnace, AHU and both parts of the AC system. Comment: Want to get a mini-split unit installed in an enclosed deck. Soddy Daisy HVAC & Air Conditioning Contractors are rated 4.83 out of 5 based on 113 reviews of 8 pros. Not Looking for Air Conditioning Contractors in Soddy Daisy, TN?